The workshop was attended by various stakeholders and began at 1PM. 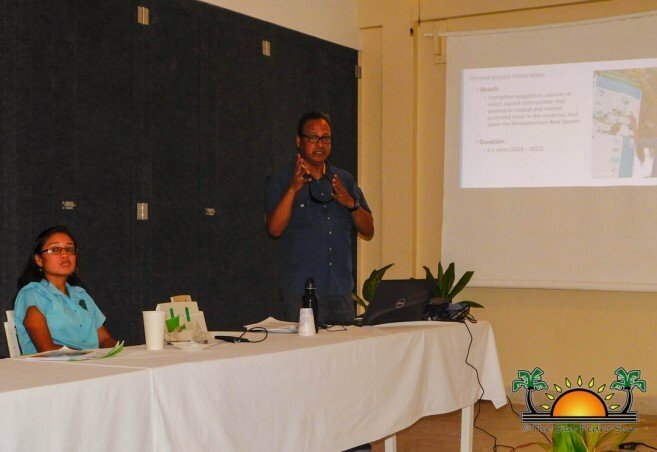 APAMO along with WWF and CZMI are collaborating in the implementation of the project, in the Meso-American Region (MAR) as to contribute to the national economy through tourism and fisheries, while offering food security, income, and physical protection from storms. The program promotes climate-smart management actions that allow for long-term benefits. According to the workshop facilitator Jose Perez from APAMO Belize, this project has a holistic approach. “It is based on solid scientific evidence and the involvement of communities and key actors. It seeks to influence policies to protect at-risk ecosystems, and the human populations that depend on them, for example, Ambergris Caye,” he said. 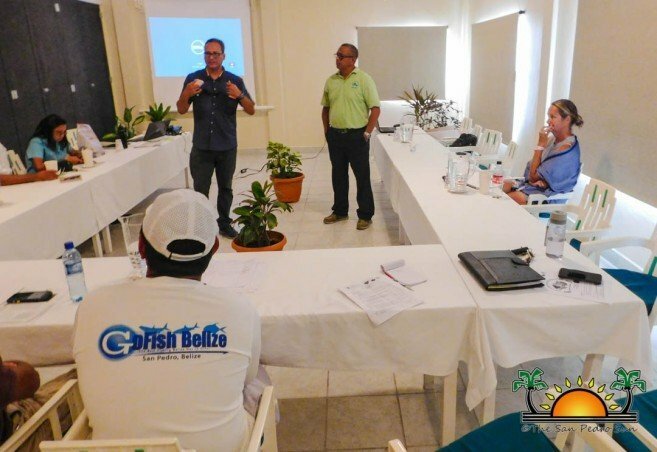 The project aims to mainstream climate-smart principles into marine protected area (MPA) management and coastal development policies in countries bordering the MAR to improving the adaptive capacities of coastal communities in the region. Specific environmentally friendly adaptation options will be determined in a cross-sector and stakeholder-driven decision-making process, applying science-based tools, including ecological risk assessments and cost-benefit analyses that integrate climate change and social development scenarios, ecosystem services modeling and green vs. grey infrastructure. 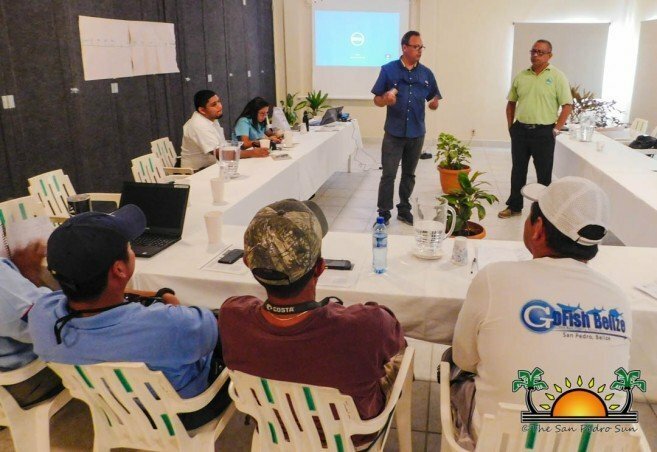 While informing relevant policy and management frameworks with adaptation measures implemented in selected coastal areas in Mexico, Belize, Guatemala, and Honduras. The project is expected to enhance knowledge and capacities at local and national levels, contribute to national adaptation policies and action plans and make best practices available at relevant national, regional and international. Attendees had the chance to participate in a climate crowd survey. APAMO is Belize’s leading network of non-governmental conservation organizations that seek to influence and encourage the Belizean society to safeguard the integrity and diversity of Belize’s protected areas. 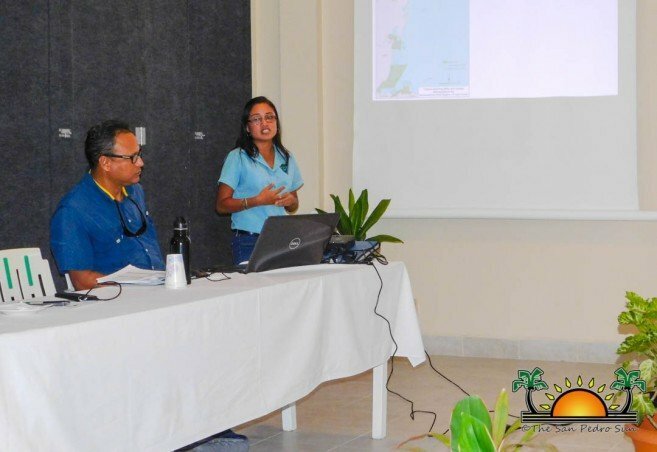 Findings from the workshop will be utilized to prioritize options for adaptation that will be implemented using project resources in Belize and the Mesoamerican Region.